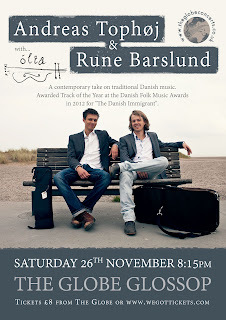 Andreas Tophøj and Rune Barslund, two leading Danish folk musicians of their generation, perform with violin, accordion, viola and piano. This accomplished duo has its roots in Denmark’s peninsula Jutland, and is already crossing borders to reach out into the world with their music. In 2016 citizens of England, Germany and Sweden will get the chance to fight off these conquering Danes. Celtic and Nordic musicians and musical cultures. This all adds to the musical melting pot on which Andreas and Rune base their original compositions. These guys are skillful and experienced musicians captivating their audience by communicating in the beautiful language of music. 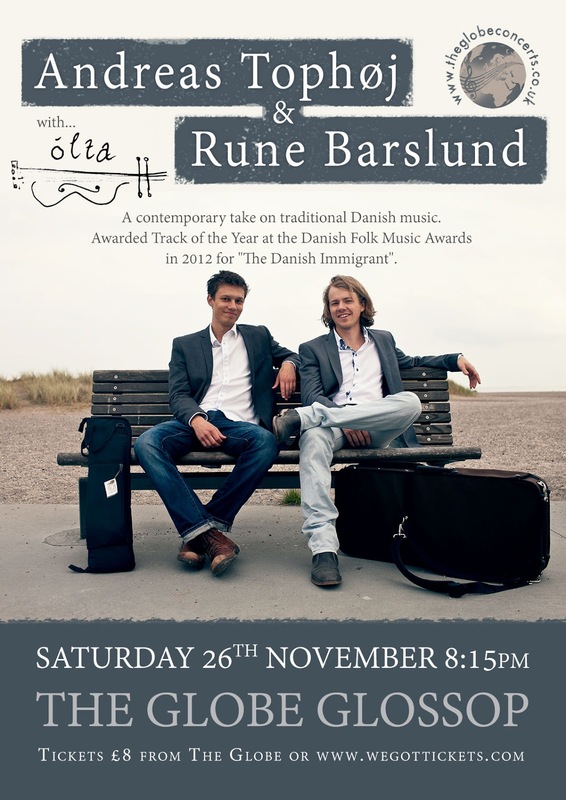 Andreas & Rune have released the EP “The Danish Immigrant”, which was awarded “Track of the Year” at the Danish Folk Music Awards in 2012. Recently in 2015 Andreas was nominated as “Artist of the Year”. Freshly formed in summer 2016 & based on the exciting discovery of a mutual love of music, wonder & merriment between guitarist & vocalist, Paul Higham & violinist, India Shan Merrett; Ólta is a journey of discovery through the Irish, Scottish & American traditions; an adventure through music, cultural styles, experiences & inspiration.